Circulation pumps for domestic water There are 3 products. 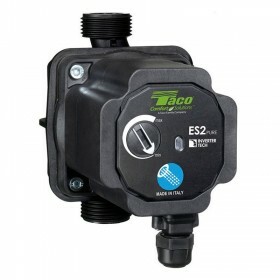 Circulation pump ES2 PURE C 10-40/130 Taco, 130 mm. Thread: G ¾". Domestic hot water circulation, drinking water circulation systems and similar domestic and industrial circulation systems. This circulator is suitable for drinking water only. Circulation pump ES2 PURE C 15-40/130 Taco, 130 mm. Thread: G 1". Domestic hot water circulation, drinking water circulation systems and similar domestic and industrial circulation systems. 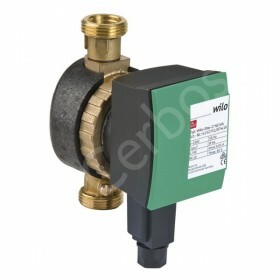 This circulator is suitable for drinking water only.